Your donation—of any size—to Starbridge helps to make sure we can be here for the next person or family who needs us. Please help us light the way for others in our community. Give today. Make your tax deductible gift safely and securely online. If you are uncomfortable sharing your credit card number online, please mail your gift to our office or call 585-224-7248. We will gladly accept your gift over the phone. Make a gift in honor or in memory of someone dear to you by including their name and contact information with your donation information. We invite you to join us at our fundraising events held throughout the year, providing an opportunity to celebrate with our partners while raising funds to support the work of Starbridge. Click to read more about our 2019 Gala - Among the Stars! 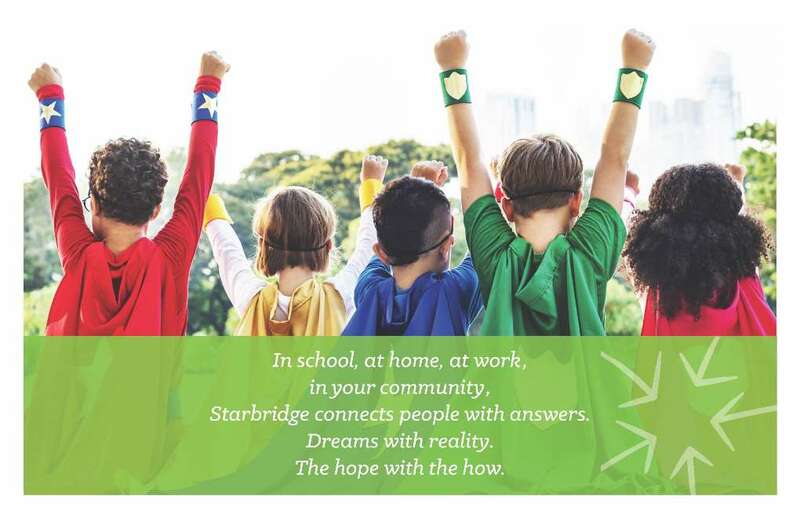 Would you or your company like to support Starbridge by sponsoring our 2019 gala? Would you like to read stories of successes we have achieved together? 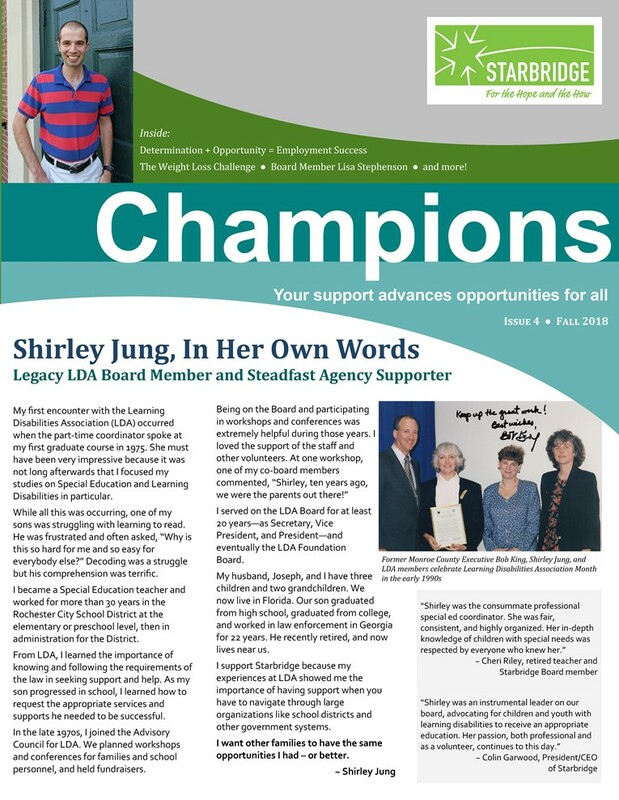 Read the latest issue of Starbridge's Champions newsletter! To arrange for a donation, or for more information, please contact Jean Sciacchitano at 585-224-7248 or jscciachitano@starbridgeinc.org. Please call Krystyna Staub at 585-224-7247 or email kstaub@starbridgeinc.org for more information.